Here’s a holiday for those that like things simple, one simple click and your entire holiday is taken care of. This All Inclusive holiday is a complete Thomson Package Holiday and includes everything that you need for a relaxing getaway. 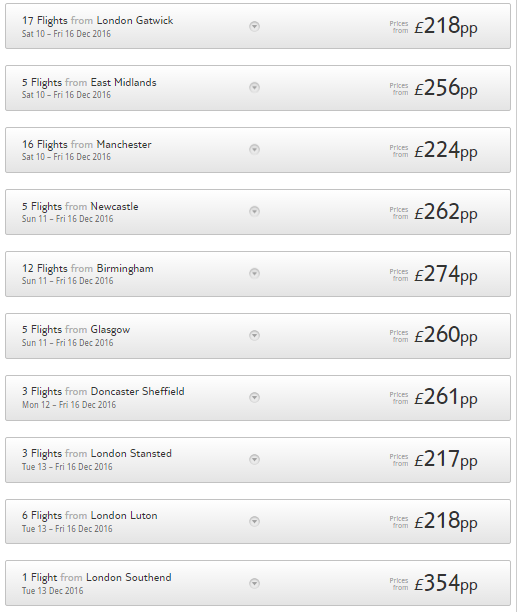 The following prices are based on two adults and 1 child sharing departing from various UK airports in December 2016. It’s close to the beach and centre of town, but with its extensive gardens, the Hotel Catalonia Las Vegas feels nicely tucked away. You’ve got mountains in one direction and the ocean in the other, so the views at this place are pretty impressive. A rocky beach and the Lago Martiánez pool complex are just over the road, while the old town is five minutes’ walk away. Palm trees and tropical blooms sprawl throughout the hotel’s grounds, and into the glasshouse-like lobby. Bedrooms come with pine-wood floors and fixtures, and furnishings in complementary shades of navy. 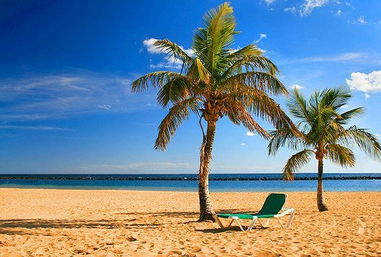 Tenerife is a wonderful sunny island which is absolutely flooded with great sights and attractions for you to check out. Whether you want to float away on the lazy River of Siam Water Park or head up Mount Teide for a hair raising experience, I suggest checking out Trip Advisor before you Travel, so you can plan ahead. 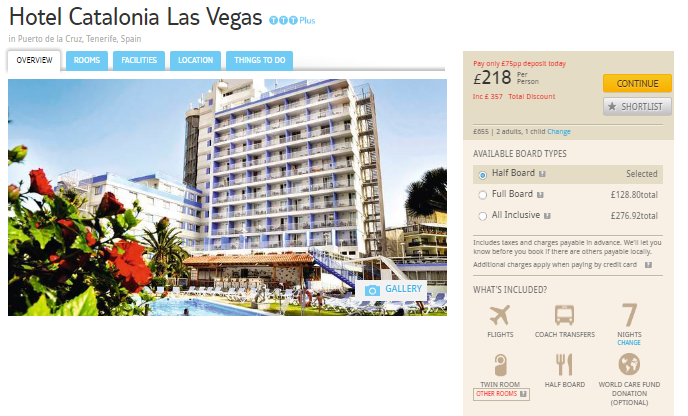 hi can u tell me how much this holiday is in may holidays around 26th may for 2 adults 3 kids ? flying from either Manchester leeds or around that area ?